There is a great deal of joy in participating in a good cause. One of the best parts of being a healthier person is making the most out of the body God has given you. 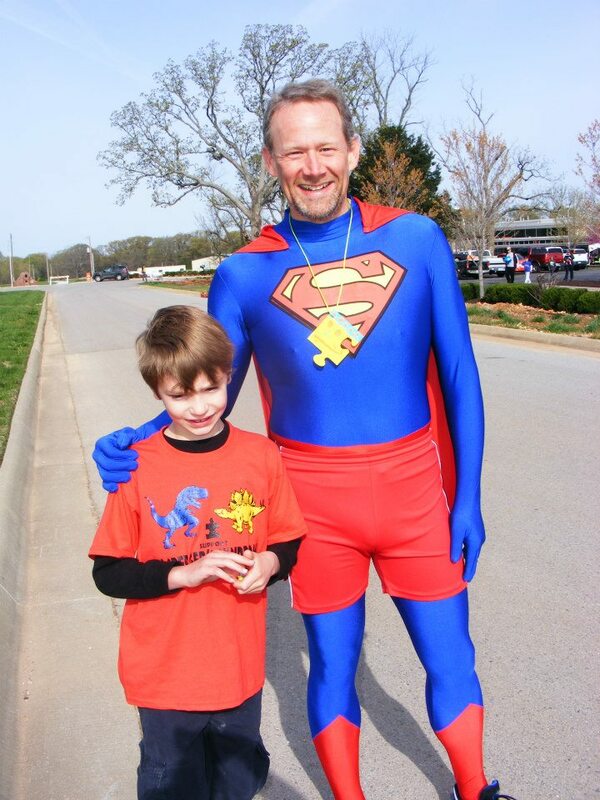 On April 20th, I had the opportunity to be involved with the AIM Walk & 5K in Bentonville, Arkansas. It was a great event and I even PR’ed the 5K with a time of 23:45.6. I finally broke the 25 minute mark. That made the day extra special. 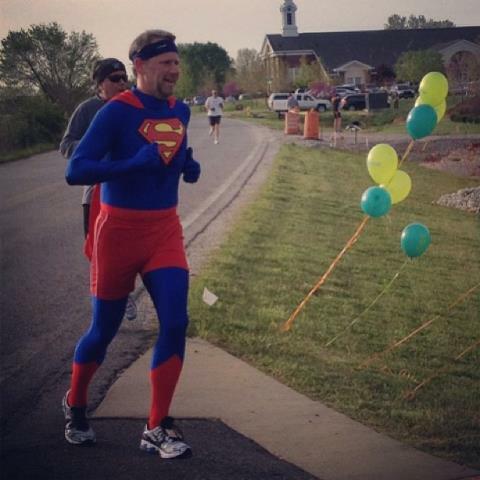 SuperDan finishing up a new personal record. 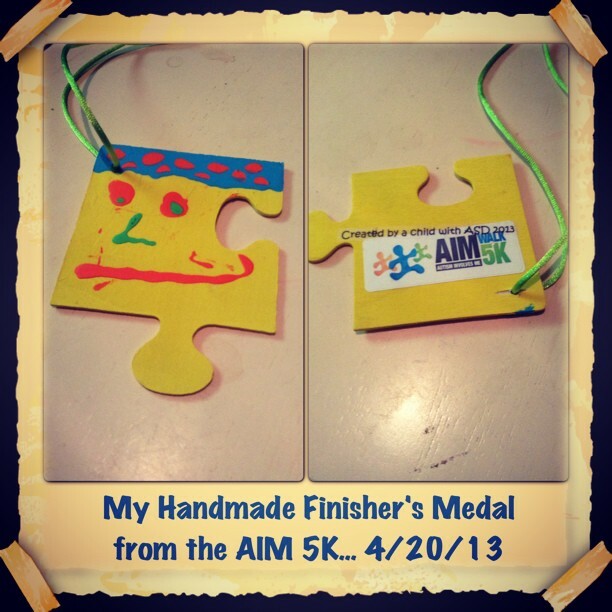 All of the 5K finishers walked away with a very special medal. 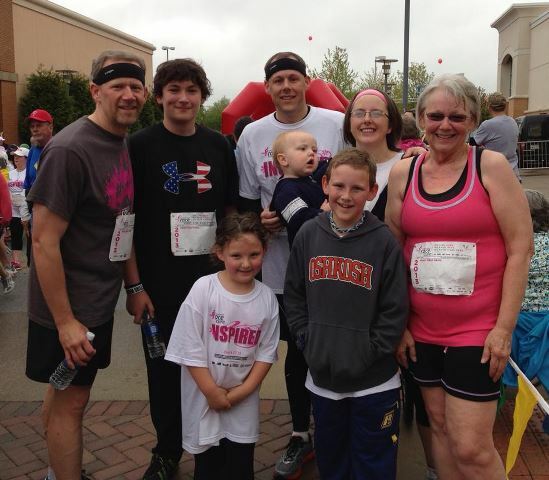 This past weekend, I had the privilege of running with my family as we celebrated another year with my mother. She fought and beat breast cancer in 2010. At this year’s NWA Race for a Cure, she completed her 3rd 5K and hit a new personal record of 41:20. My 63-year-old mother is an inspiration to us all. She is an example that it is never too late to start running.